Nineteen-year-old Omarian Banks had recently moved into a new gated community in Atlanta. After exiting a Lyft and knocking on a door at his complex, he was shot and killed Friday morning. He had knocked on the wrong door. Banks was using FaceTime to talk to his girlfriend when he knocked on the misidentified door. He was confronted by 32-year-old Darryl Bynes would shoot Banks after a short confrontation. Banks thought he was at Mathis’ home. “He was moaning and groaning and he had tears in his eyes and he was just bleeding,” Mathis told WSB-TV. Bynes told police he shot Banks in self-defense. Banks, described as a hard worker by family friends, was shot while making his way down the stairs away from Bynes. Bynes has been charged with murder. 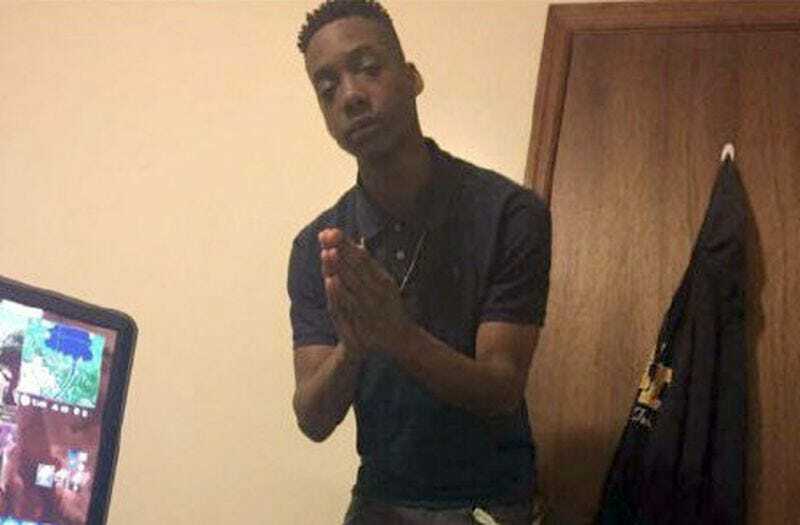 A GoFundMe for Banks’ funeral costs has been set up by the family. Lisa Johnson, Banks’ mom, had questions. “I’m having a hard time understanding that someone could be that mean and hurt a child,” Johnson said. “Stop and think before you pull the trigger,” Johnson said. Johnson hopes her son’s death wakes people up to the value of human life.